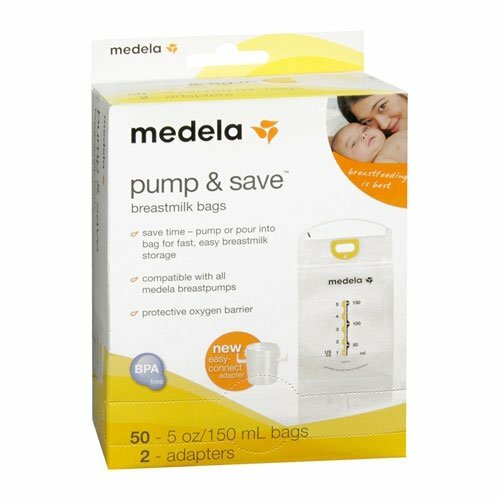 Save time by pumping or pouring into our bag with the new easy-connect adaptor for fast, easy breastmilk storage. 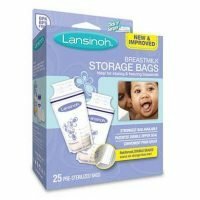 Oxygen barrier preserves & protects breastmilk nutrients. No-leak, easy-to-close zipper top and no-spill, stand-up bottom. Avoid adding freshly pumped milk to already cooled milk. 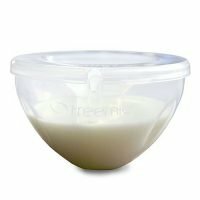 You can add small amounts of cooled breastmilk to the same refrigerated container throughout the day. 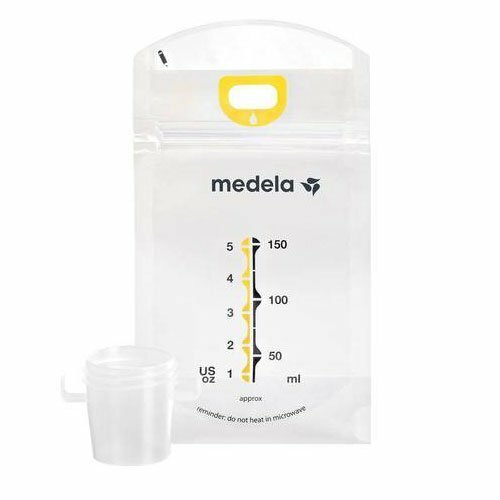 Store your milk in Medela’s BPA-free breastmilk collection bottles or in storage bags specifically designed for breastmilk, such as Medela’s BPA-free Pump & Save™ bags.